A Royal Wedding Anniversary to Dame Elaine and Winston Middleton of Belize City. And what a special accomplishment! 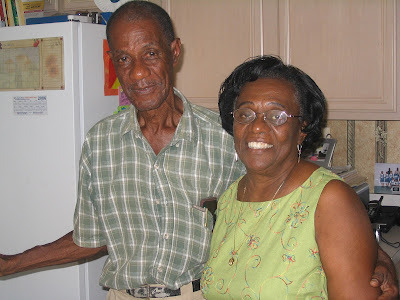 They were united in marriage on the Oct 27, 1961. As we looked back over the years, we can only say that this is truly a test of love. After 50 years of marriage, we are proud to say that the dedication in this partnership is stronger than diamonds. Proud parents of Yvette, Dean and Teri and blessed to be the grandparents to eight wonderful grand-children. Happy Anniversary Mom and Dad! We love you immensely!